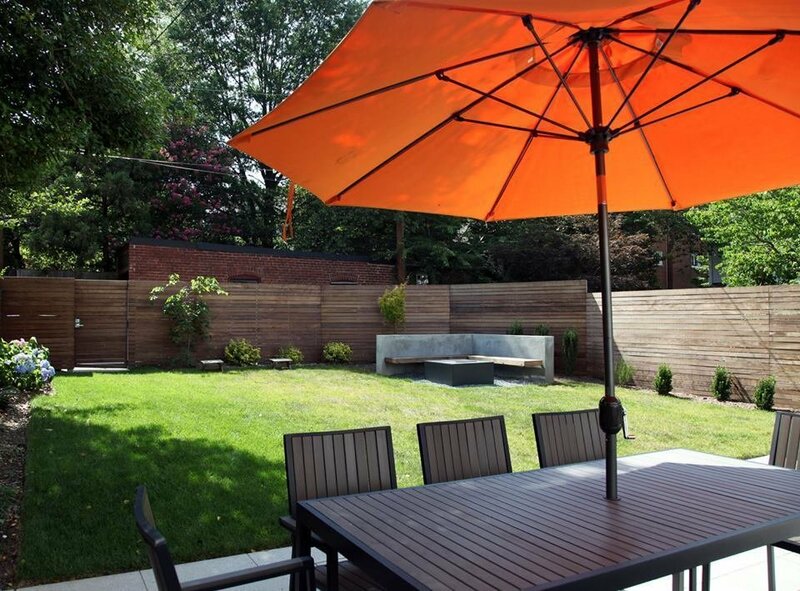 Working with Ryan Moody Design on the backyard, the couple cleared out the weeds, leveled the space, and added a new ipe and galvanized metal fence. A fire pit designed by David Cooke is surrounded by a bench of ipe. Concrete pavers make up the patio.